There are two things the world needs more of. Compassion and art. Make that green art actually. We covered a momentous climate conference COP23 for you where the world came together to discuss climate action. Oh, right, the world minus Trump! It was a big victory to see the world leaders ratify the Paris Accord with Syria & Nicaragua coming late to the party. So it’s officially USA vs Rest of the World! And that’s why we say again, the world needs two things, compassion and green art to leave us with #PositiveVibesOnly! It’s heartening to see how more and more artists are joining in the cause of sustainability with their unique expressions and art forms. Our Green Art Digest has become a regular column featuring artists from around the world using sustainable art forms to express green ideas. Think upcycling, recycling, redoing with discarded, trash or garage materials, the possibilities are endless! Be it the award winning up cycled furniture of Bel & Bel, or the offcycling genius Rodney Allen, the eclectic art of Boris Bally or Bruno Lefevre-Brauer’s robots with a message. We’ve featured many more artists and art forms using upcycling, recycling, redoing with discarded, trash or garage materials and what not! 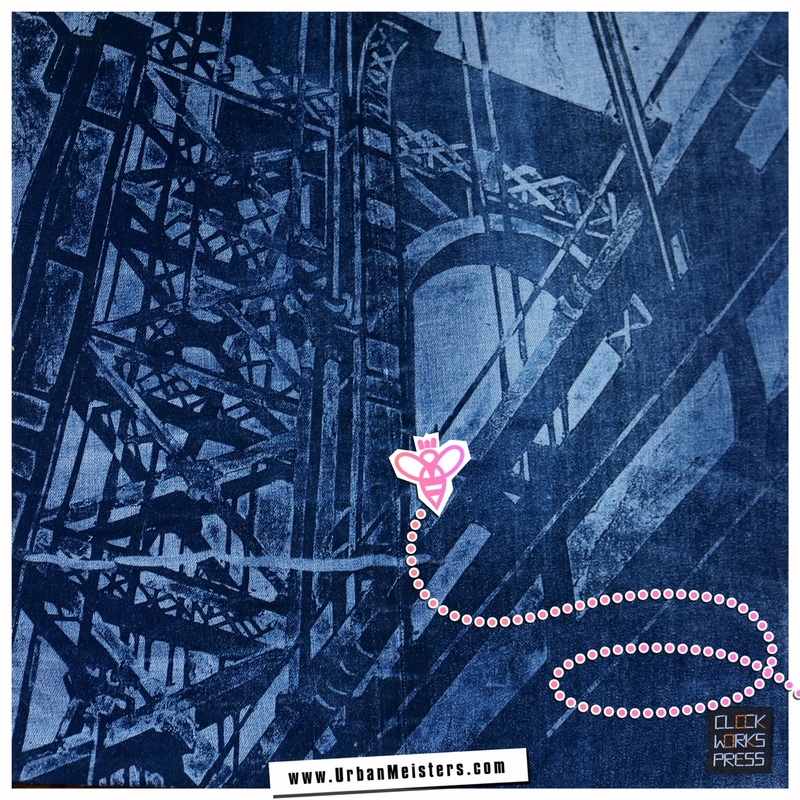 We’re now excited to present Holly E. Brown whose beautiful collagraphs are the result of her ingenious idea to cross-pollinate jeans and art. 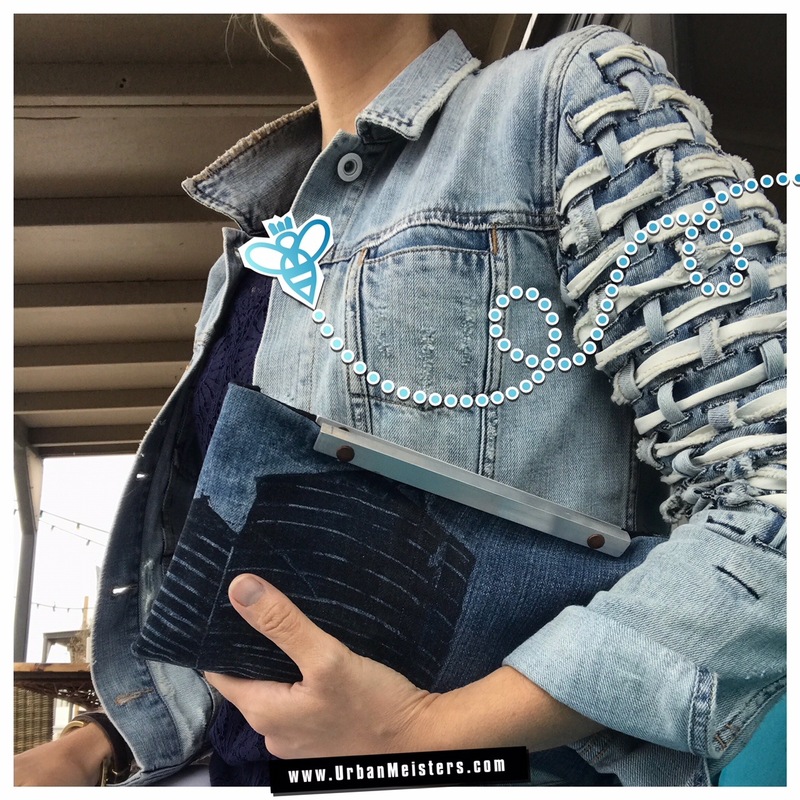 Just when you thought your blue jeans couldn’t be more multi-purpose huh?…. 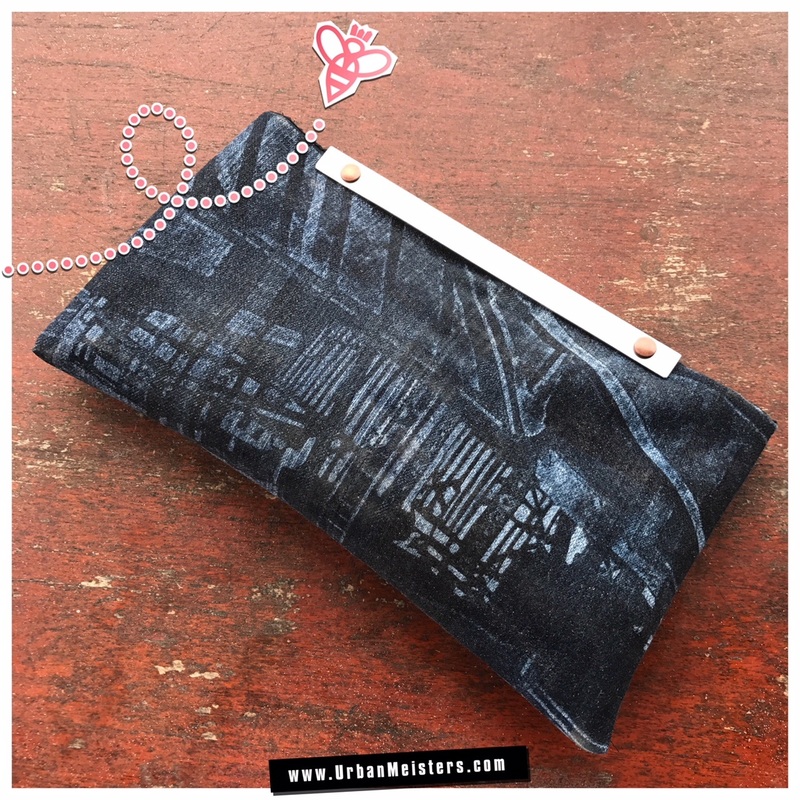 Printmaker, art teacher, entrepreneur, artist. Holly E. Brown dons many hats with ease and panache. 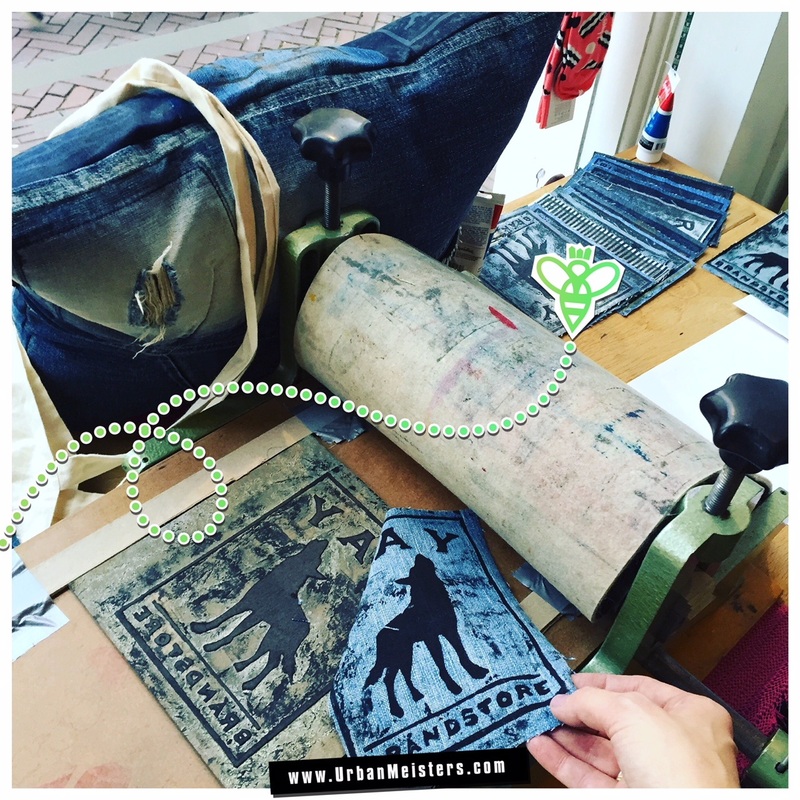 Add UrbanMeisters Special Green Correspondent at New York Denim Days as well to that ever growing green list! 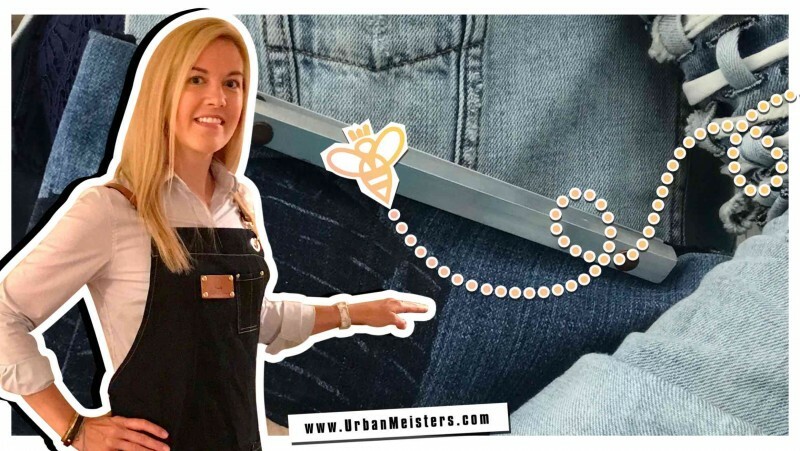 That’s right Holly brought us the full report on Denim Days in New York along with exclusive interviews from artists and entrepreneurs at the event. 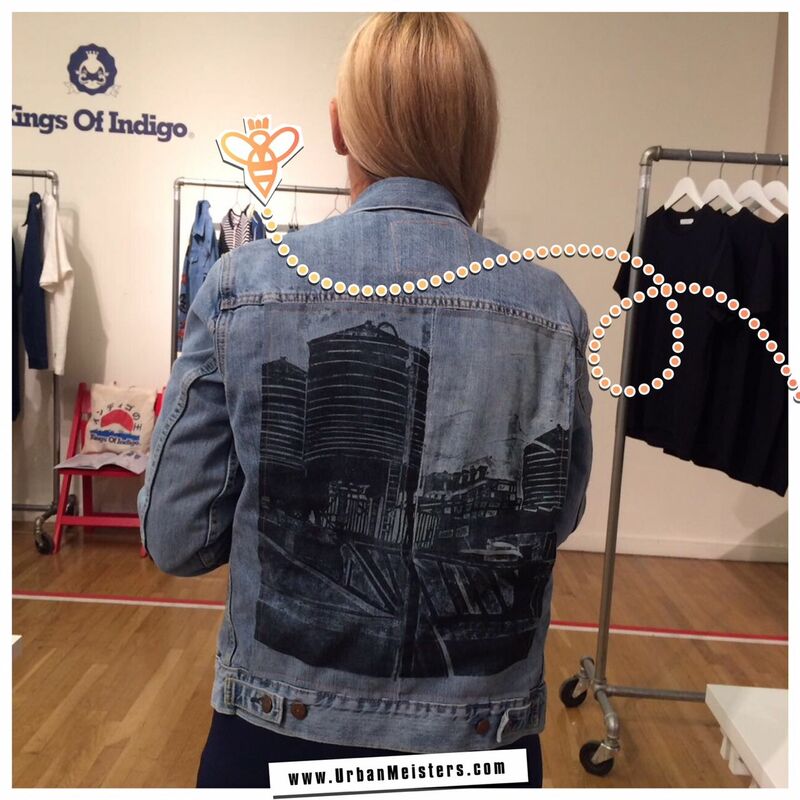 And now we showcase her amazing work making collagraphs on denim. Holly E. Brown’s architecturally inspired prints balance a rhythm between the rawness of reality and the abstract. Through meticulous carving and mark-making Brown’s precise need for structure and control of the urban environment is evoked in the dynamic compositions present in her collagraphs and etchings. She works reductively to juxtapose a positive-negative environment in which space, form, perspective, and texture are interwoven. 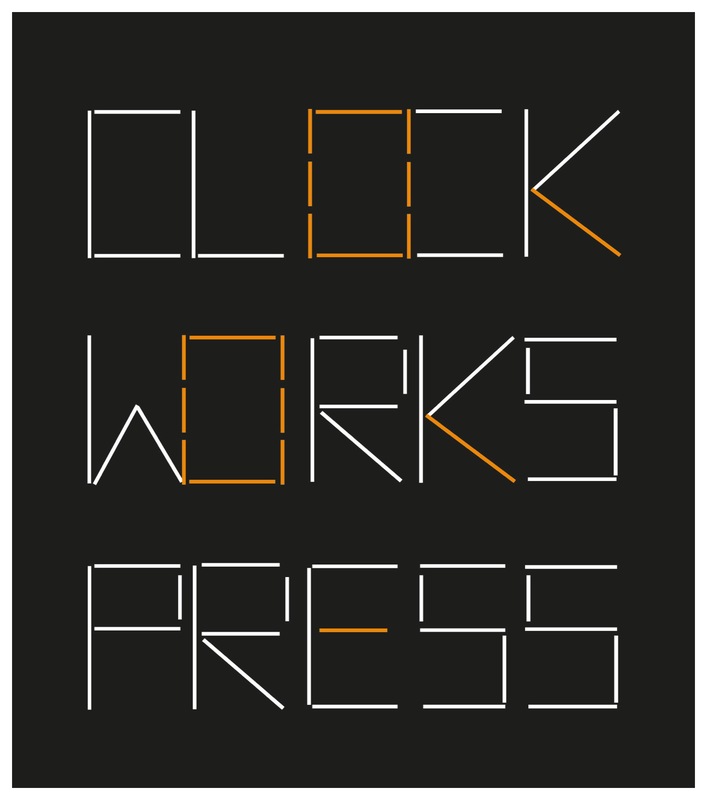 The owner and CEO of Clockworks Press™, this prolific artist is quite passionate about living green in NYC and caring for our world. 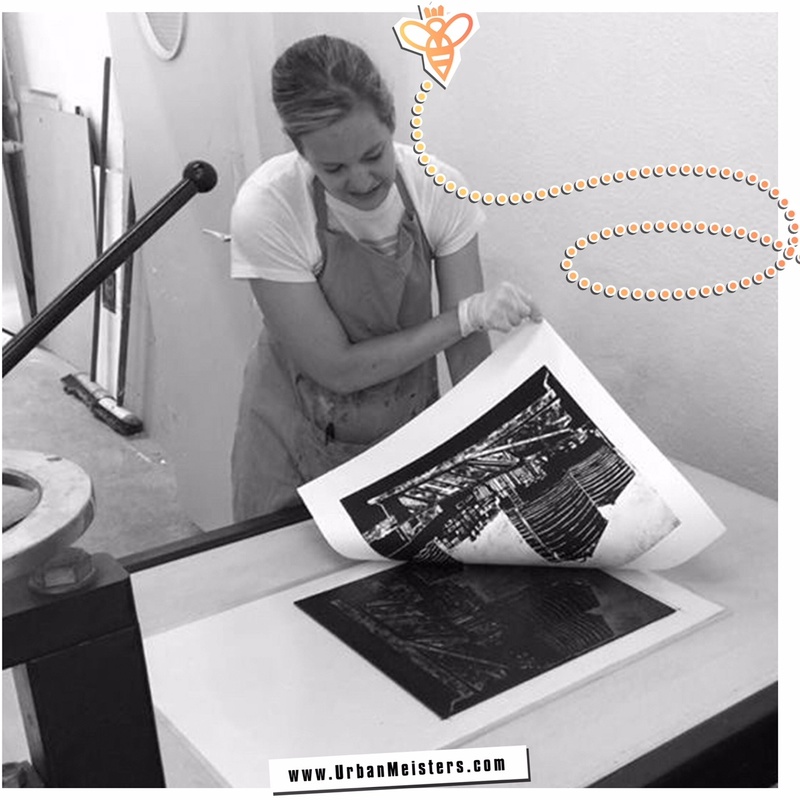 She is developing her printmaking work in sustainable ways, through the use of less chemicals, following environmentally sound practices and printing on recycled materials. Holly is soon to launch her signature collection. We give you Holly’s take on her themes, techniques and message. My green art. My space. My passion. Urban scenes that play with composition, often in a perspective that feels uneasy are the ones I love. With space and stability alongside texture and value as the underpinnings of my images I play with a balance and rhythm between the rawness of the city and the abstract. Each of my images begins from a moment captured in my own personal photography and translated onto a printing plate. 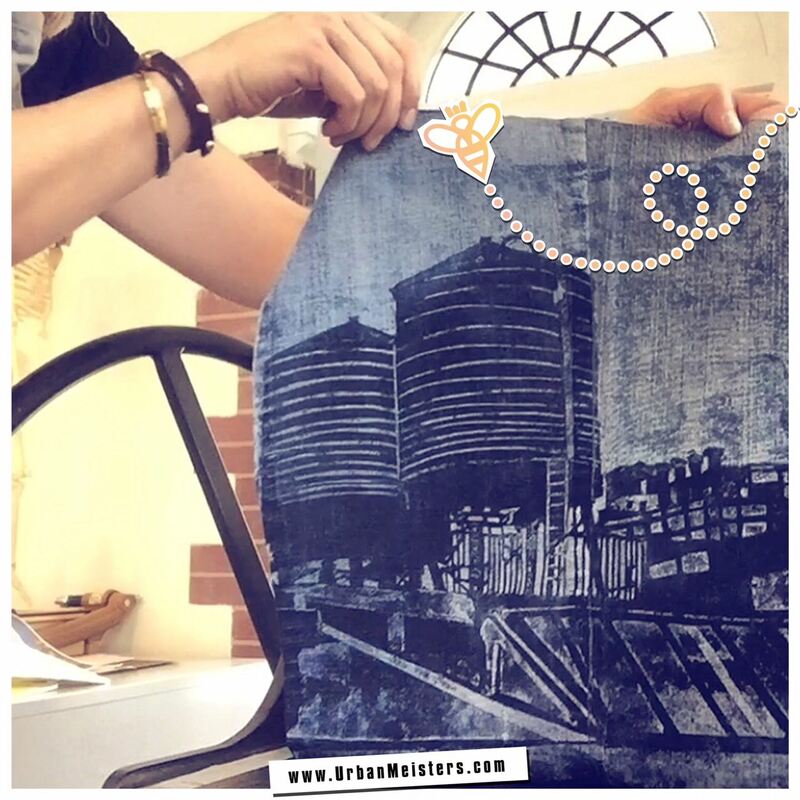 My passion with denim printing began in 2016. I had my first European solo show at denim boutique Ray Brandstore, located in Delft, Netherlands and at the time I was using 100% recycled fiberboard to print my large-scale hand carved collagraphs only on paper. 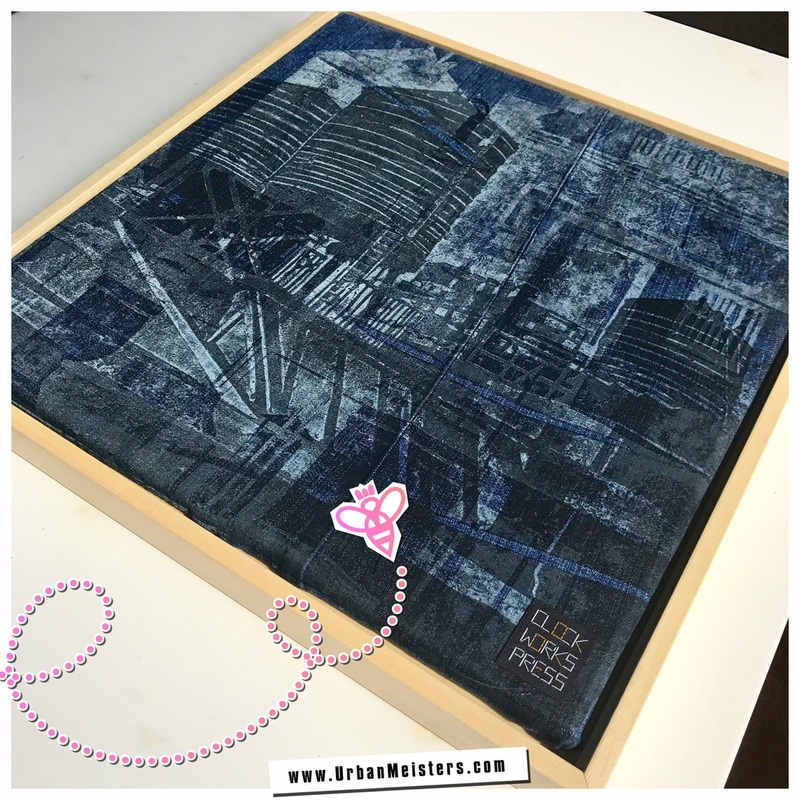 When discussing the pieces I would include in the exhibition, storeowner Ray van Uffelen suggested, “why not try printing on denim?” So I took several pairs of jeans that had been donated as part of an in house recycling program Ray created and began experimenting on the press. Now I would be making the collagraph on a completely sustainable material and executing it onto another material that would have otherwise been discarded in a landfill. What a win-win! It was immediately evident that the inks easily grabbed the denim giving me a completely different feel than my images on paper. 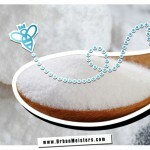 The hard edges suddenly had a subtle softness from being pressed into the cotton fibers of the denim. The natural fade patterns made by the jeans owners worked in combination with the depth of my images. It seemed a natural collaboration between image and surface, each informing the other. 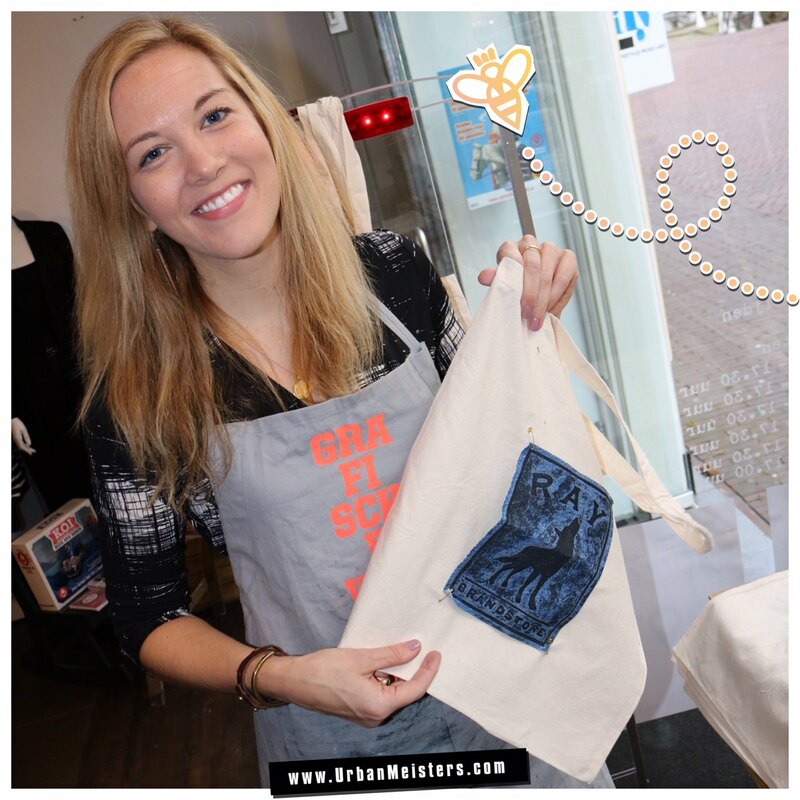 Above: Printing demo on recycled denim for totes at Ray Brandstore, Delft, Netherlands during Holly’s solo exhibition Recente Werken, 2016. With a changing urban landscape around me, I am continuously stimulated by the effects of nature on an architectural structure be it a bridge, a water tower or a building. I fall in love the decay of steel or the peeling paint on a surface. The energy and vibe of daily life inspire many of my compositions. To me, denim is quite similar in how the wear patterns created by its owners washing, rubbing, and movements. This juxtaposition has completely intrigued me and made me want to keep collecting more denim in all colors, washes and conditions. When creating I begin with one composition, adding on and working intuitively through both mark making and carving processes to determine the next stage. A certain amount of flexibility is inherent when working on a printing plate. At times, the reaction of the surface determines the next step. The meticulous carving takes many hours, as does the printing process. The nature of printmaking is experimentation and to me the process is just as important as the finished work. I tend to work in a series and on more than one plate at a time. 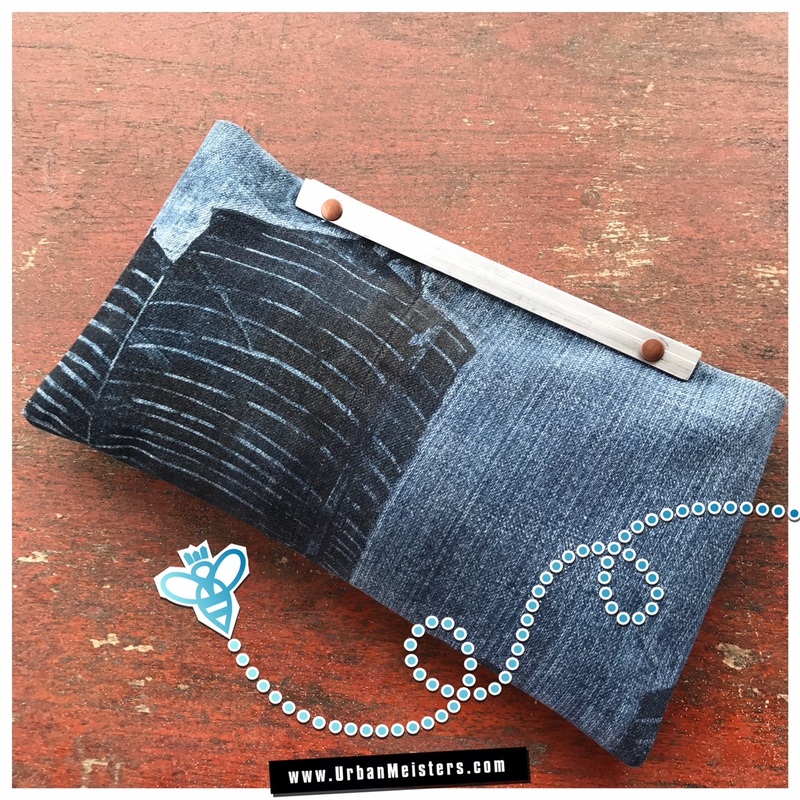 As I continue to produce my collagraph images on recycled denim I am working toward collaborations with industry experts who share my passion for sustainability in fashion. Holly lives in Brooklyn, NYC with her son Lucas and travels often to The Hague, Netherlands. 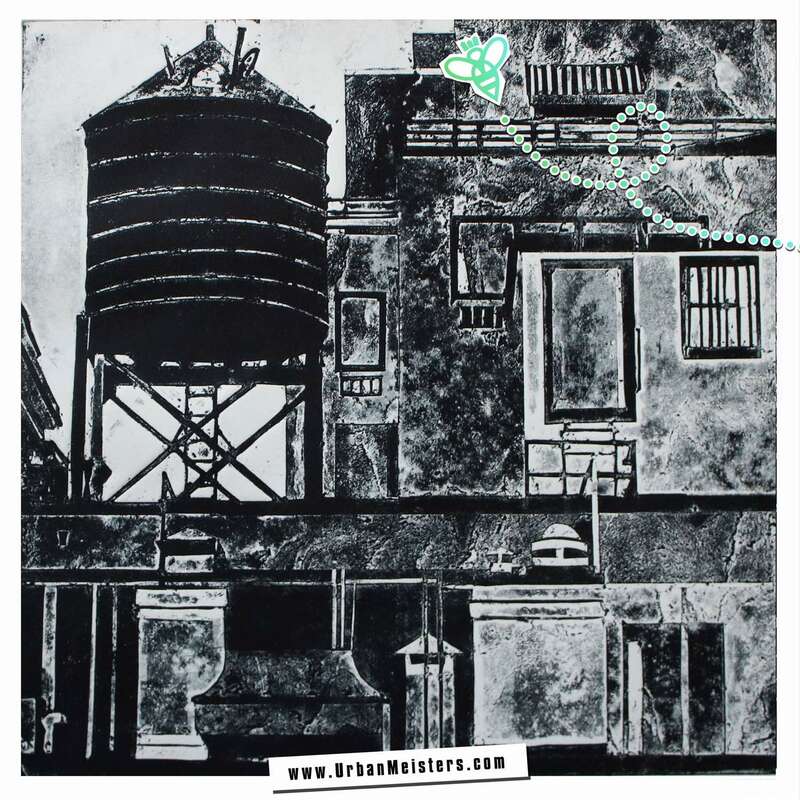 Her prints can be found in the permanent collections of The Library of Congress, Washington, D.C., Yale University, Connecticut and Princeton University, New Jersey as well as in several personal collections internationally. She has collaborated with Pulitzer-prize winning poet Charles Simic on the portfolios- The Pieces of the Clock Lie Scattered and Three Poems. Holly has many such achievements lined up but what truly impresses you is her green art and her compassion- two things we need a lot more of in this world! Holly is soon to launch her first signature collection for which she is looking for denim donors. So if you would like to donate your used denims to Holly for printing contact her on any of her social media handles: Instagram and Facebook @hollyebrownart or her website www.hollyebrown.com which has all her contact information. We’ll also keep you updated with her collection launch. 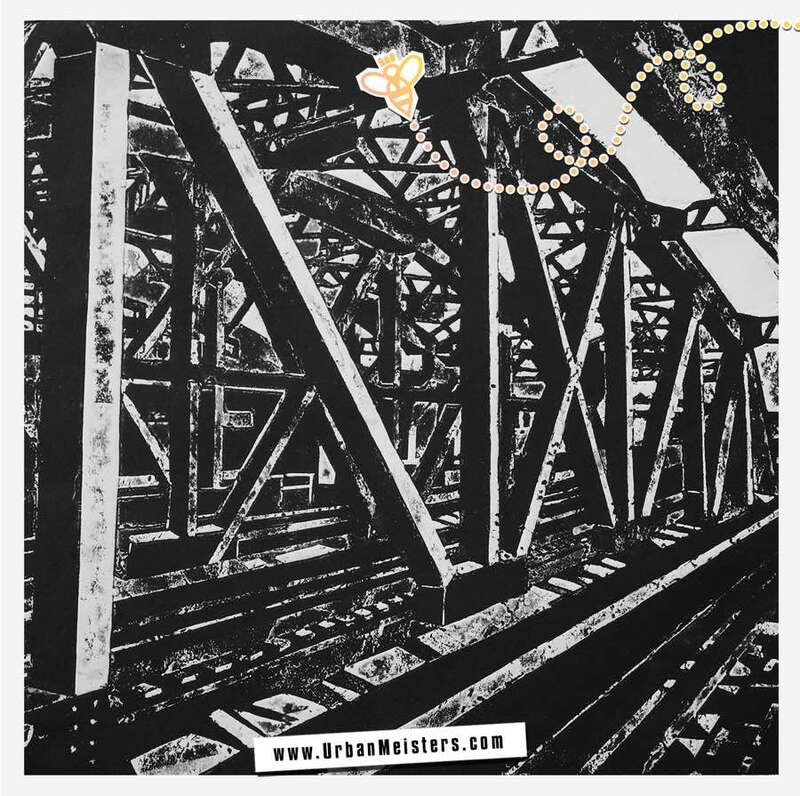 Stay tuned to UrbanMeisters to find more artists making a mark in this era of sustainable innovation and creation. Welcome to the future readers. Here, greening really is winning!